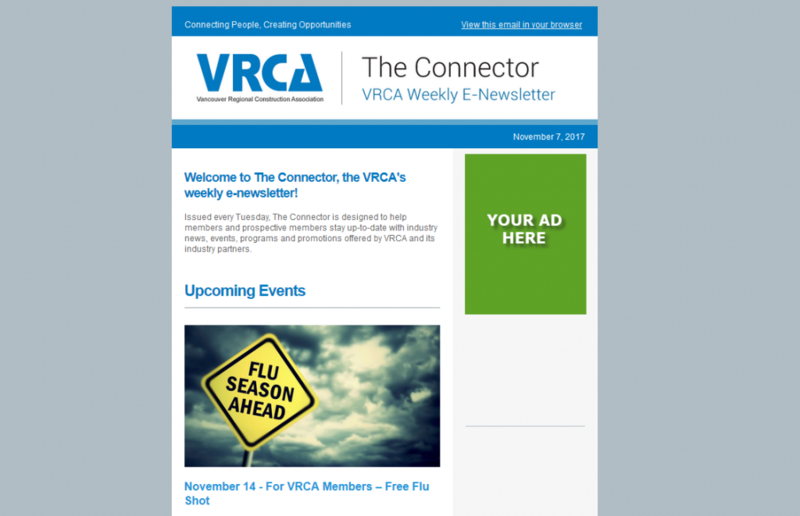 Issued every Tuesday, The Connector, VRCA’s weekly e-newsletter, is designed to help members and prospective members stay up-to-date with industry news, events, programs and promotions offered by VRCA and its industry partners. Reaching over 4,500 construction industry professionals, the VRCA weekly e-newsletter is an easy and affordable way to promote your products and services to the decision makers you need to reach! Advertisements can be booked week to week – no long term contract required. For more information or to advertise in The Connector, email [email protected].